The advance-decline line for both the NYSE and the SP500 was a big topic today on Twitter finance; one hit a high, and the other is pretty much at a high. The discussion started when a comment was made on why so many feel miserable about the market when these two lines are making highs. 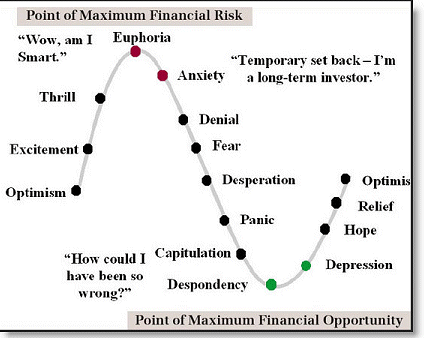 The assumption is that investors should be more optimistic or excited than they are now. I believe that part of the disconnect is that these new highs on these advance decline lines are not translating to investors bottom line, which is returns. Most investors don’t have their entire portfolio fully invested in just the SP500; they own individual common stocks, emerging markets, different sectors, etc. A day doesn’t go by that we don’t hear how bad hedge funds have and are doing, they certainly are not benefiting from this. The SP500 has been able to stay flat over the last 18 months while many sectors and stocks have tumbled. 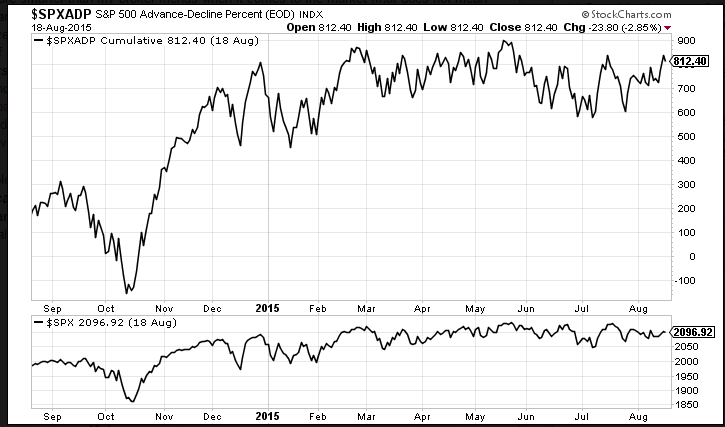 The Russell 2000 suffered a -28% drawdown, emerging markets a -36% drawdown, Energy -35%, Miners -36%, Biotechs -50%. Behavior plays a huge role in the market; many don’t sell until they can’t take the pain anymore which is usually a day or two away from a major bottom. Then they usually don’t get back in until the underlying has had a huge move, by the time they get back in the move is over for the interim and the cycle begins again. Flat, choppy markets wear people out; it makes them make more mistakes than they normally would, by trying to make something happen when there is nothing to make. The market might be open 252 days a year, but it is not open for you to make money 252 days a year. The last time financial Twitter made a big deal about the advance-decline line being at highs and everyone being bearish was back in August 2015, we wrote about it HERE. The gist of it was the same thing, the SP500 A/D line at highs, sentiment was bearish, the Twitter stream was whining, and the positiveness of the A/D line was not trickling down to people’s portfolios. Here is the chart from August 2015. Notice the date 8/18/15, and notice where the SP500 closed that day (2,096.92), where did it close today–2,090. All this hurrah with nothing to show for it. Here’s what happen the days after 8/18/2015. One can argue that the majority was correct. Part of the reason is; just like last year, the A/D effect is not trickling down to portfolios. Some immediately think that if you are arguing against something that you have a bias, market breadth is all about bias they say. 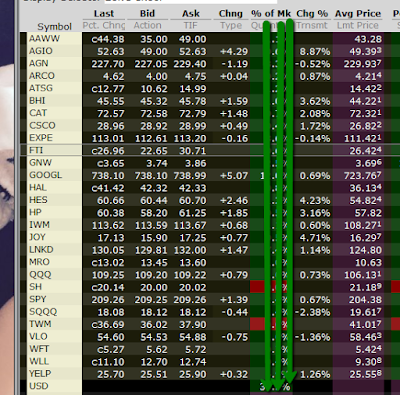 As you can see from the picture below, there is no bias here; I’m not short, long and strong until further notice. Don’t assume what people are doing on Twitter; you have no idea, some manage their twitter account very well, they make you feel like they’ve caught every single move, and that every high also means a high for them as well.